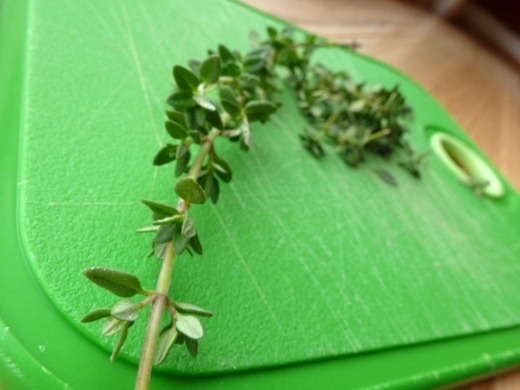 Fresh thyme smells so amazing. 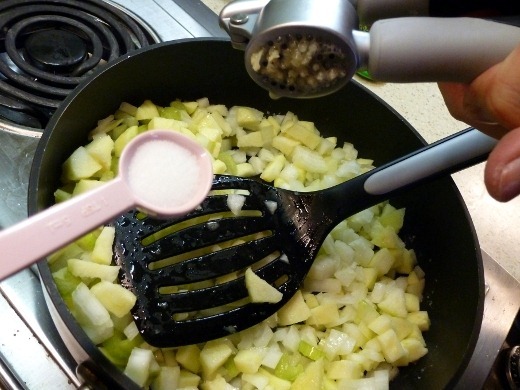 It’s once of those herbs where using fresh makes a huge difference, in my opinion. It also keeps well in the fridge for quite a while, at least relative to other herbs, like basil. 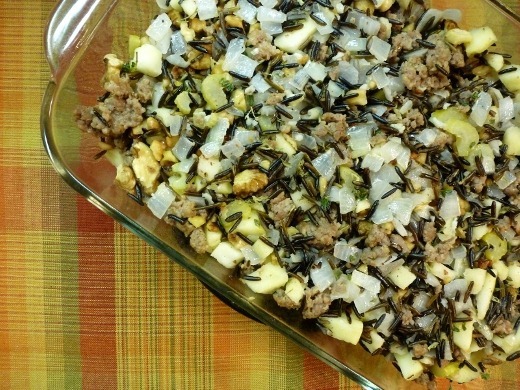 With this herb, I made another Thanksgiving-inspired dish this weekend, using a recipe of Emeril’s that was featured on ABC’s Good Morning America: Wild Rice, Apple, and Sausage Stuffing. This recipe is called a “stuffing,” but it doesn’t really seem all that “stuffing-like” to me, in that it is lacking a key element – bread! 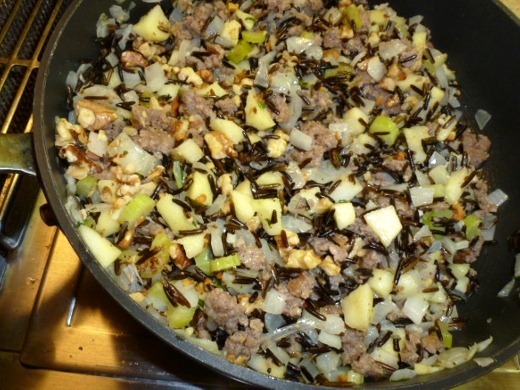 However, the stand-in starch in this recipe is, instead, a favorite grain of mine – wild rice! I just love that chewy, nutty texture. This stuffing is somewhat similar to the Sausage and Apple Stuffing I made in my slow cooker (with bread cubes!) 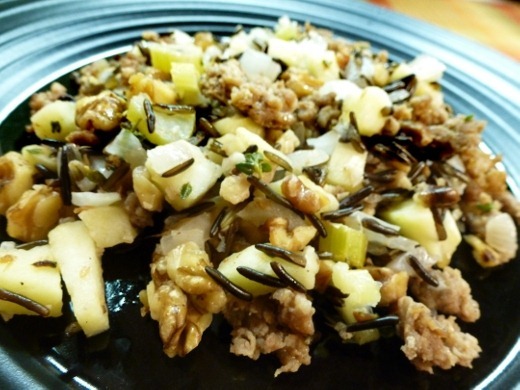 last Thanksgiving… except I liked this version with wild rice better! 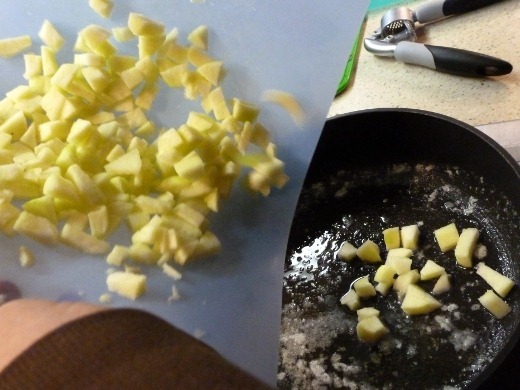 Money Saving Tip: This recipe calls for pecans, but, to save money, I instead used walnuts, purchased from the bulk section of my grocery store. Pecans were around $10/lb, while the walnuts were $6.49/lb, and by purchasing from the bulk section, I was able to purchase only the small amount that I needed for this recipe. I totally loved this dish. 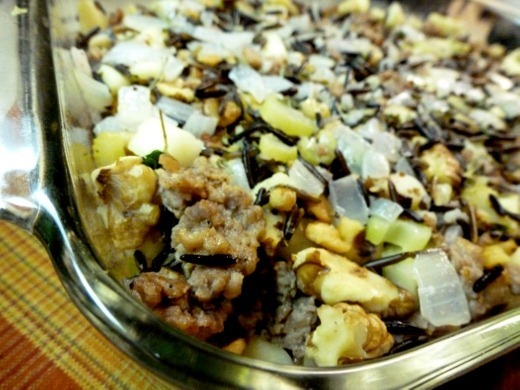 It was full of textures from the crunchy walnuts, chewy wild rice, and soft apples and onions. I also loved the contrasting sweet bites of apple against salty bites of the pork sausage. 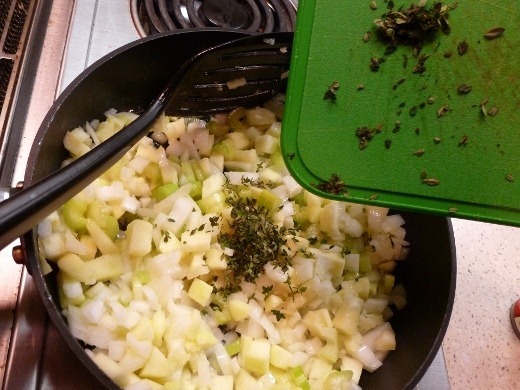 The fresh thyme added a fresh zingy flavor to the dish as well. A winner! Ohmygosh I have to face reality after a long holiday weekend tomorrow. Daunting. Currently listening to: Endlessly – Muse.